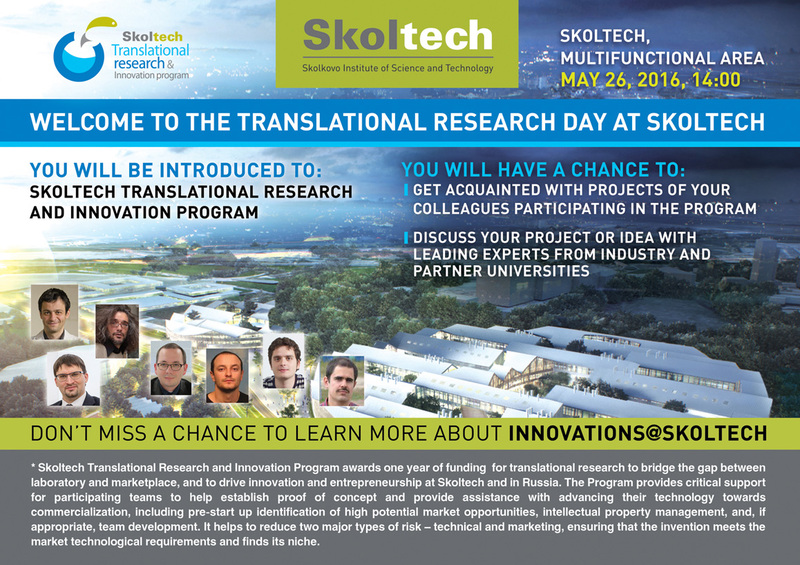 We are glad to inform you that you are welcome to participate in Translational Research Day on May 26. Within the first part of the event you will be acquainted with translational research methodology and projects of Skoltech faculty. Then, we will offer our experts and guests to learn more about Skoltech students’ initiatives. See you at Translational Research Day!